Welcome to the IWO Support Page! Help - I Can't Login! If you're having trouble logging in there are a few things you can do. This will open up a new form where you can enter your email address. Your password was sent to your email address. Please check your e-mail. Check your email inbox for your username and password. If you do not see our email, then go to the "Why Am I Not Receiving Email Alerts?" section. 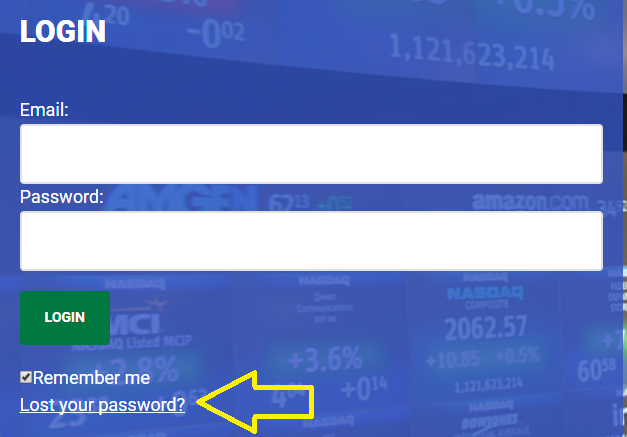 This login name is not registered. Then this can be a bit more of a problem. A few things could happen here. You misspelled the email address in the form. Please double check that the email you used didn't have any mistakes in it. You have changed your primary email address. If you used our "email change" form, it permanently changed your username to the new email. You misspelled the email address when you subscribed. If you have never logged in before and can't access, it's probable that a spelling mistake was done on the original order form. Please open a support ticket and our support staff will find your account and double check to see if that account is in our database. First, you need to check to see if you're actively subscribed to an IWO Trade service. After you login, go to the Manage My Subscriptions page. There are two sections-- active subscriptions, and inactive subscriptions. 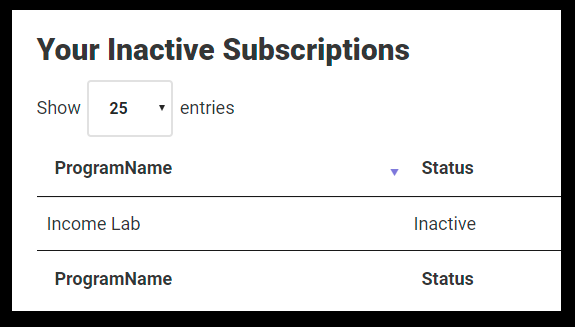 If you see no active subscriptions but a list of inactive subscriptions, it means that you are not currently subscribed to any services. First, you have previously asked to unsubscribe from our services. Second, a billing error has occurred with the credit card on file. You will need to change your credit card in order for your account to be reactivated. Go To the "Change My Password" Page. Go To the "Change My Email Address" Page. To cancel your subscription, go to your "My Profile" page, then click the "Manage My Subscriptions" button. Select the Active Subscription you wish to cancel, and then go through the confirmation page. From there, you won't be billed again on that subscription, and you will no longer have access to the trade alerts.